Who knew there are over 5,000 kinds of frogs or that they were so fun to learn about? Each page of this great, beautifully-illustrated book introduces a new and unique species. The goliath frog of western Africa is the largest frog in the world. The smallest lives in Papua New Guinea. The Darwin grog of South America has the pointiest nose. The striped rocket from Australia can jump up to sixteen feet. There are flying frogs and hairy frogs – though both are misnomers. And poisonous frogs in bright colors. Some make nests for their eggs. Some hold the eggs in their mouths. Some frogs never leave the water. Some rarely leave their holes beneath the earth. Many other species are illustrated. 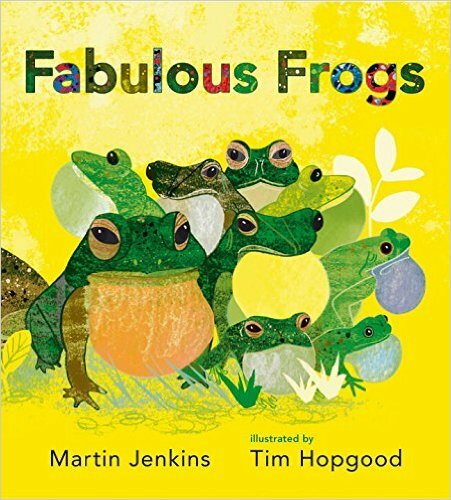 This text is great for use among second graders in a unit about the environment or amphibians. 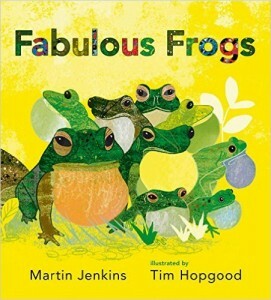 The author lists several excellent websites for learning more about frogs.